All donations will be doubled up to a total of $7,500! Generous donors including all of our Board members, also the Central Valley Foundation, Dan Gieber, Robert Linquanti and Geni Sola, and Susan Straghalis and Beth Ogilvie, who have pledged a total of $7,500 in matching funds. Like thousands of nonprofits, we use #GivingTuesday, the Tuesday after Thanksgiving, as our biggest fundraiser - a counterbalance to the intense focus on consumerism seen in Black Friday and Cyber Monday. Our #GivingTuesday goal is to support our expanded capacity, with Juvenile Halls in two counties as well as multiple youth-serving agencies. And we now have a central base located just outside Yosemite Valley to host trips to Yosemite, connecting to the natural world around us and exploring its depths. We go out for hikes and climbs, river time, star gazing, do community service work, and connect through conversations, journaling, and reflections. The Sacred Rok model is all about building relationships - we need a mentor/staff to support Ron Kauk, help with planning and coordinating the trips, and assist Ron with the Sacred Rok mission. "Whenever I spend time with Sacred Rock, I feel as if I have don't have anything to worry about. I always experience something new and this time I saw two shooting stars for the first time, I love every moment I spend there." We work with young people and youth-serving agencies throughout northern California - but we are unique because of our close and longterm work with incarcerated youth. We have partnered with Juvenile Hall in Merced County for 9 years, and with Juvenile Hall in San Benito County for 3 years. The Merced Probation Department brings the kids up to Yosemite, and Ron goes down to their classroom ay Juvenile Hall bringing organic lunch fixings. Imagine helping these young people to feel safe and find their voice, knowing that they are loved and trusted. It costs more than $90,000 a year to keep a youth locked up. Here is what one Juvenile Hall youth says about Sacred Rok. "It's really a blessing when you realize how much a person cares about trying to teach the world and not only what he knows. It was a type of privilege to be with Sacred Rok and achieve more knowledge and motivate me to do better. I lost time with my family but now I'm working as a construction interior repair team member and I'm only seeing me doing better. Thank you Sacred Rok for giving me another chance and special thanks to you Mr. Ron Kauk for keeping this movement still moving like we always talked about." And here is a video with some of our incarcerated Sacred Rok youth; their faces are blurred to protect their confidentiality. I've heard Ron speak several times and I find him a marvelous ambassador to nature. His support of young people is life-changing. This gift is to remember Ann Krcik and her great support of Sacred Rok...she so loved that you help young people get to know and enjoy the outdoors..
We are honored to be able to support Sacred Rok! STRIVE to maintain balance & harmony with the earth. Keep up the good work! Sacred Rok continues to be a grounding force in nature! Thank you! You do great work. Appreciate all that you do for these wonderful kids. To honour the memory of Alan Goodban. Sacred Rok rocks! 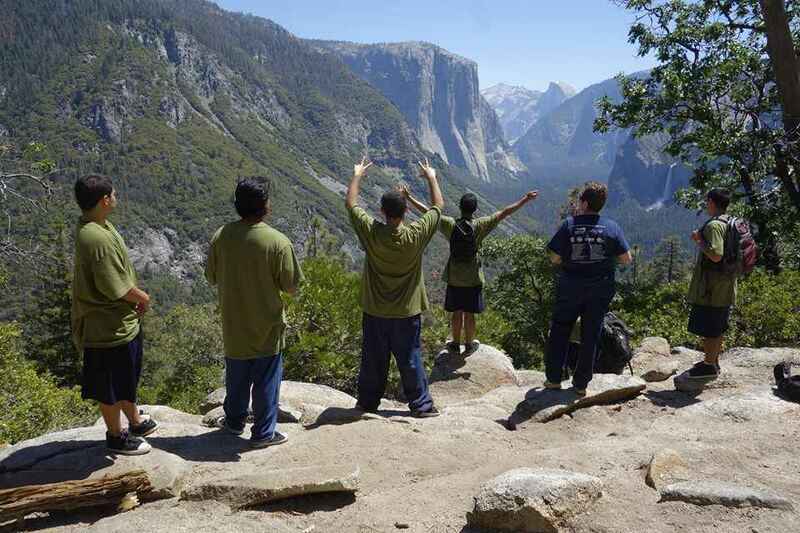 Outstanding program for troubled youth to get in touch with their own Spirit and finding an identity through nature. I love what Sacred Rok stands for and for all that you do!